Heeft u een vraag voor Jinjiang Inn Qingdao Henan Road Railway Station? Jinjiang Inn Qingdao Henan Road Railway Station is gelegen in Shinan in Qingdao en een uitstekende keuze voor een ontspannen verblijf. Het hotel ligt van het stadscentrum en de belangrijkste faciliteiten zijn dus goed bereikbaar. Dankzij de praktische locatie liggen alle belangrijke trekpleisters in de buurt van het hotel. Profiteer van de ongeëvenaarde dienstverlening en voorzieningen in dit hotel in Qingdao. Gasten kunnen gebruikmaken van hotelfaciliteiten als bagageopslag, wi-fi in openbare ruimtes, parkeerplaats, restaurant, tours. Hotelkamers zijn zorgvuldig ingericht om het hoogste niveau van comfort te bereiken, met plasma tv, draadloos internet (gratis), rookvrije kamers, airconditioning, wekservice in iedere kamer. Daarnaast garanderen de talrijke recreatieve mogelijkheden dat u zich tijdens uw verblijf kunt vermaken in het hotel. 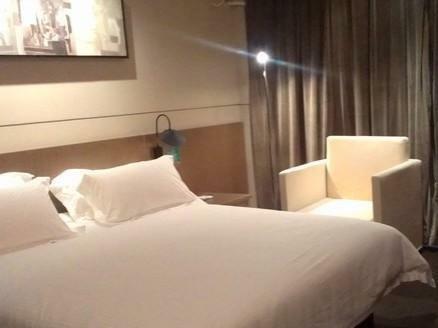 Wat de reden van uw bezoek aan Qingdao ook is, het Jinjiang Inn Qingdao Henan Road Railway Station is de perfecte keuze voor een enerverende vakantie. Babybedje is niet beschikbaar bij deze accommodatie. room is clean, but no freezer in the room. the lights are too dim. shopping street is on next street, quite a logistic place to stay. Staff very accomodating. My second time here. Clean and modern. Smallish hotel but suits me just fine. Clean room, well-maintained hardware, hot shower, helpful and efficient staff. 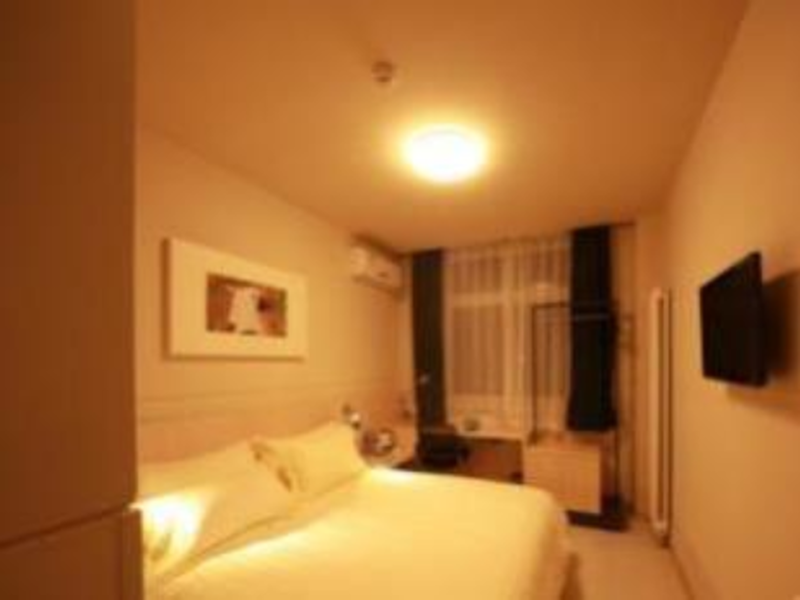 Well-located and only 5-min walk to the Zhongshan Road. One thing I don't like is the use of paper cup which is very environmental unfriendly. Clean, good location. 10mins walk from train, subway station and Zhanqiao. If you feel like shopping, Parkson is one street away. Only problem is can smell cigarette smoke in the rooms as other guests are allowed to smoke freely in the corridors but that's a common thing in China anyway. A very nice and affordable hotel at very good location, a short working distance to the train station,seafront and eating places. 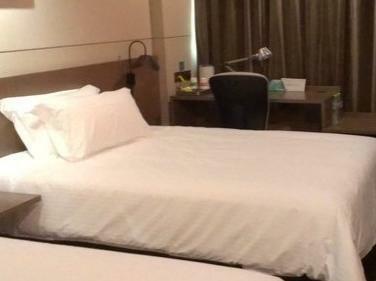 Rooms are very clean and the beds are very comfortable. Staff are absolutely friendly and helpful. Not far from train station, church, and close to minimart, lot of restaurants. Very convenient. We arrived from the airport via metered taxi, RMB$96. After this stay, we would try to stay at this Hotel chain whenever we visit China! Upgraded to a Twin A (one double, one single) from a Twin B room upon check in. Sound proofing good, enough storage, good Wifi, comfy beds, strong aircon, safe, great location to Zhongsun Road and Parkson Supermarket. Only lacking is a minibar. Tour agency at Hotel is fine, too, but not cheap. Breakfasts at RMB$20 each person each day is great value but be careful of the fresh fruits, steam sweet corn and hard bolied eggs. 5 mins walk to base of Catholic Church for airport bus to airport (Rmb$20 and purchase from Hostel 10 steps away from airport bus stop). A great 5 nights stay here. Reasonably good location. Comfortable bed. Stand alone air-conditoner. We stay in a '25m2 business C' room. Generally good but the design of the bathroom, especially the shower compartment shall at least come with a shower curtain to avoid the water from splashing to the other area. Bathroom door was titled and cannot be closed due to poor workmanship. And lastly, they only provide disposable paper cups in the room which was a surprise, though nothing wrong. Other than that, everything good! Our stay was short but good. The challenge is that most of the staff do not understand english. 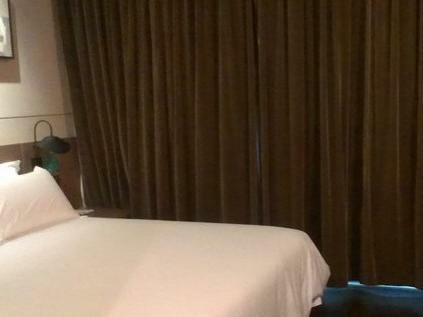 The location is closed to rail station, and the room is better than our expectation, clean and large. It's located near train station, in about 10 mins walk. It's also close to airport shuttle bus No. 2 stop, in 4 mins walk. There're plenty of eateries and shops nearby, and several tourist spots are pretty close too. It's easy to catch public transports to various places, as most buses come through the area. The hotel is quite basic and unpretentious, but reasonably clean and tidy. The staff during my visit are quite professional, and quite responsive. Room is of moderate size but not unreasonable for its class. Breakfast was not included in the deal, and there'is an option to pay RMB20 per day for a simple yet quite filling Buffett breakfast with reasonable choices and foods are Chinese mainly. It was nice,quiet, clean and comfortable stay at this hotel. Value for money and easy transportation to major attractions.